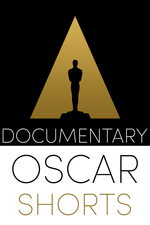 Shorts International presents a theatrical release of the five Oscar nominees for Best Documentary Short Subject. Crisis Hotline: Veterans Press 1: An HBO documentary about the only veteran's crisis center in the US. Intense and tough to watch at points, hearing the center's side of conversations but well done. Joanna: A Polish film, the way this is filmed and edited this could almost be a scripted film. In fact, if I were seeing it without any advance information and wasn't told it was a documentary, I'm not sure I would know that it was. The film focuses on the relationship between a mother suffering from cancer and her young son. I found the movie slowly paced, which helps set a certain mood, but it was perhaps too slowly paced in part. White Earth: The first of two films in this program I had seen previously — but I remembered very little of it from the first time I saw it, about four months ago, which probably doesn't speak well for it. Focuses on children in White Earth, North Dakota, who came their with their parents who took jobs associated with the oil boom there. I thought the film suffered from not having much of a unifying theme beyond "kids in an oil boom town." The Reaper: From Mexico. Efrain, who has worked in a slaughterhouse for 25 years and is the person responsible for killing the cattle there, muses on killing and death. I found this film strangely compelling, particularly in how the scenes in the slaughterhouse were shot. Our Curse: The other one I had seen before. Also from Poland, a young couple brings home their infant child, who has congenital central hypoventilation syndrome (CCHS), also known as Ondine's Curse. The condition requires lifelong mechanical ventilation while sleeping. A good look at the parents' struggle in coping with this. If it were up to me? I'd be hard-pressed to choose between Crisis Hotline and The Reaper. The standout for me was The Crisis Hotline. The way it concentrated on the calls made it powerful and immediate in a way the others weren't.